Ruth C. Bishop is an avid genealogist, as well as a friend to the community. She graduated from Pacific University with a B.A. in sociology, and has advanced degrees in computer programming and accounting. While in school she worked for the yearbook, and from that experience her hobby of photography escalated into wedding photographer and other activities. She was very active until 1974, when serious back surgery and the diagnosis of rheumatoid arthritis slowed her only slightly. Ruth has a great sense of humor and is fun to be with. Her upbeat attitude is an inspiration to all who know her. She has even ridden on elephants and in hot-air balloons! 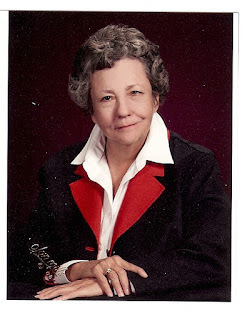 She started her genealogical career in 1975, when she joined the Genealogical Forum of Oregon. In 1995 she was inducted into the GFO Hall of Fame. She served for fourteen years as the editor of the Bulletin - the periodical of the Genealogical Forum. Ruth served as a Federation of Genealogical Societies Delegate for the first fifteen years FGS was in existence, and because she loves to travel, attending national conferences fit into her life perfectly. While she was editor for the Genealogical Forum, she was also editor of the Portland Photographic Society for twelve years. During that time she served in various other offices such as Print Chair, Slide Chair, and President. During her genealogical travels she took pictures, which she enlarged in her condo apartment and entered into club competition, exhibitions and fairs. In 1978 she joined the New England Historic Genealogical Society. Ruth was honored in September 1990 when the society's sixth floor reading room in Boston was named for her. She served on their Board of Trustees for six years and is currently on the Board of Counselors. Ruth joined the National Genealogical Society in 1990 and was the assistant program chair for the 1991 NGS conference in Portland; incidentally she also served as the photographer for the event. Again in 2001, when the NGS conference was in Portland, Ruth served. This time she was co-chair of the conference. While Ruth was unable to establish her library and never really got her own genealogy finished, she sure had a lot of fun working toward those goals. Being her friend is a great blessing. Our last two outings, one to a lunch meeting with other local genealogists and then to the Spring Seminar of the GFO, she seemed more like her self. The genealogical community of Portland, Oregon as well as the broad group of friends she made nationally appreciate Ruth for the contributions that she so generously made in the process. Thank you Ruth for being such a kind, warm, generous, and caring individual. The service for Ruth Chauncey Bishop will be Friday, June 5, 2015 at 11 a.m. at Riverview Chapel in Portland, Oregon and interment will follow that day in Salem, Oregon.